It seems somehow not quite right to see a pony sunbathing along with human beings. But, there you have it. 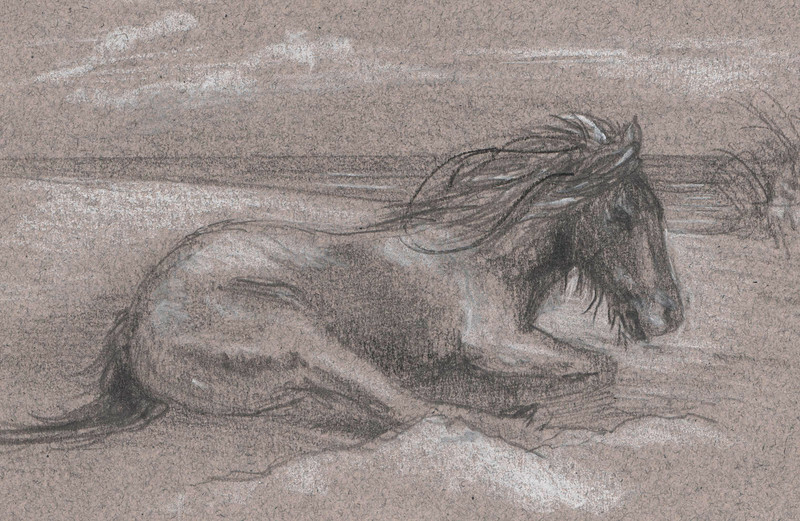 One very scruffy pony lying in the sand, hair blowing in the wind, ocean waves rolling in. Somedays you would look for the ponies and not see any at all. The next day you walk over a dune and there's a herd just walking along a sunset beach. Amazing.